Discussion in 'MQM' started by ghazi52, Apr 30, 2015. 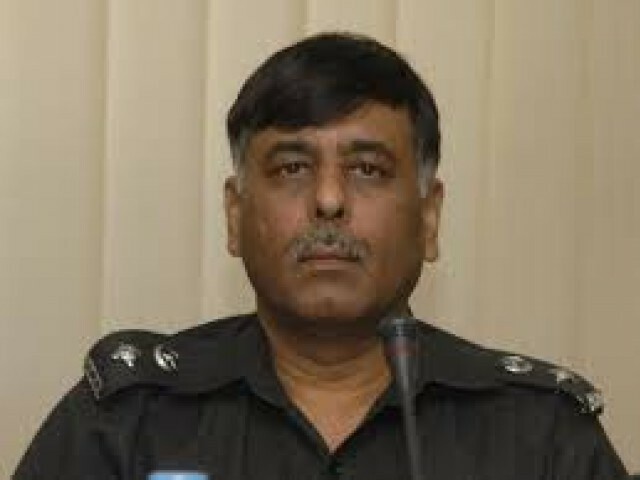 SSP Malir Rao Anwar alleged on Thursday that the Muttahida Qaumi Movement (MQM) maintains connections with India’s spy agency RAW. Presenting two terrorists who allegedly belonged to the MQM, SSP Rao said the MQM was actively working against Pakistan. “Key MQM leaders have connections with RAW,” he said, adding that the arrested MQM workers had received training from India’s spy agency RAW. The SSP said he had evidence to support his claims, including their passports and their statements. ”MQM workers from every sector go to India for training via Bangkok,” he said. “They confessed and said they were ashamed for betraying their country,” he said. The SSP recommended the MQM be banned in Pakistan. “They are not a political party but a terrorist party,” said Rao. He went on to add that he knew he was on MQM’s hit-list but wasn’t afraid of speaking to the media about his findings. Talking to the media with a cloth placed over his head, one of the arrested terrorist confessed that he fled to Bangkok after the 1992 operation against the party. “From Bangkok we were asked to fly to India where we received weapons training and then through Azad Kashmir we came to Lahore,” the terrorist said, adding that he belonged to the MQM’s Lyari sector. Responding to SSP Malir’s allegations, MQM leader Wasay Jalil tweeted this is a media trial against the party.